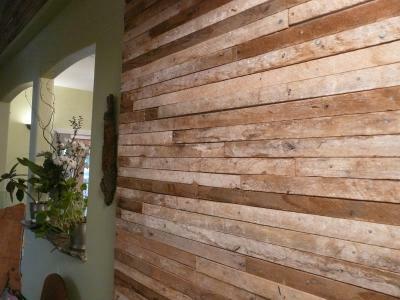 There's nothing like the look of Barnwood! Reclaimed from the 19th-century, weathered boards & timbers are rescued & given new life in the form of flooring, siding and new Timber Frame structures! 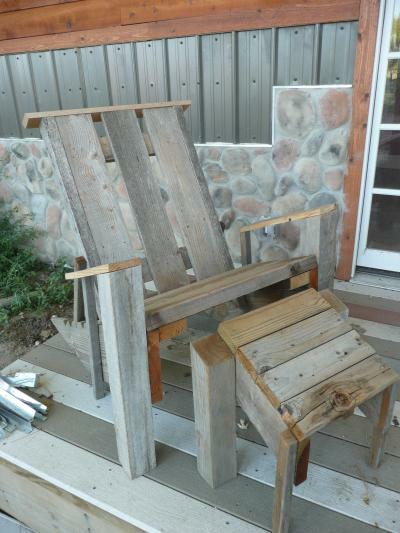 Here is deck chair a friend of ours made from reclaimed lumber that was in our salvage yard. When the plaster was removed from the walls of our "new" home, we snapped some photos of the progress. We were astonished at how awesome this 1881 lathe looked on our wall without plaster on it. We decided it had to stay with the house. We used it above the mantle and on an architectural accent wall. This fine beam came out of our home when we remodeled. It is from 1881 and was treated like gold when we demoed part of our house. 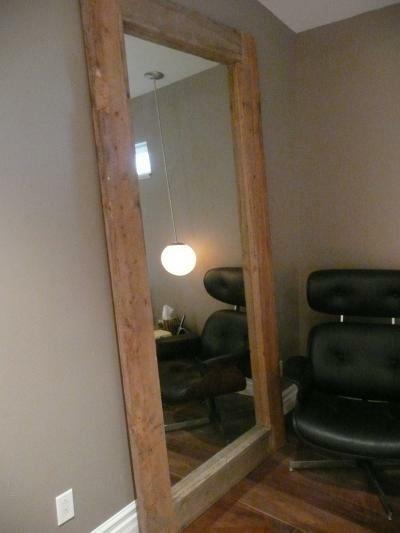 It is rough sawn fir and frames a salvaged wall mirror perfectly! 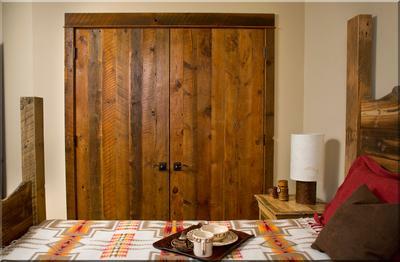 Those doors are completely reclaimed/refinished barnwood from an old place in Montana. The bed's from the same stock, though you can't see too much of it in this shot. 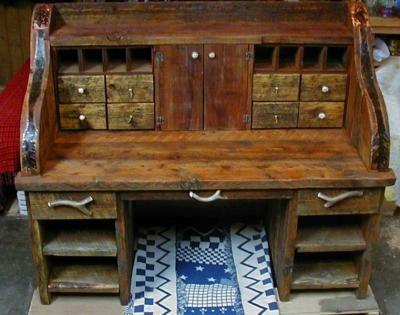 This was hand-built by a friend of mine, bought it off him for $300. Solid as a rock! It's now barely visible beneath all my clutter. 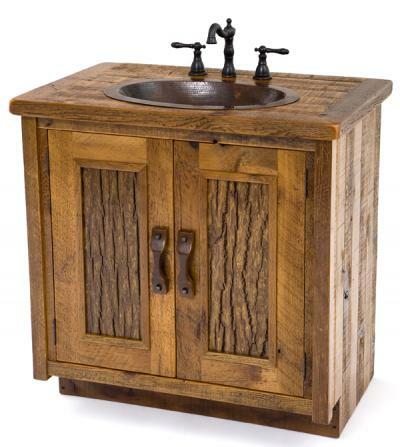 This is a lovely bathroom vanity made of 100% recycled barnwood. I wish it were mine!